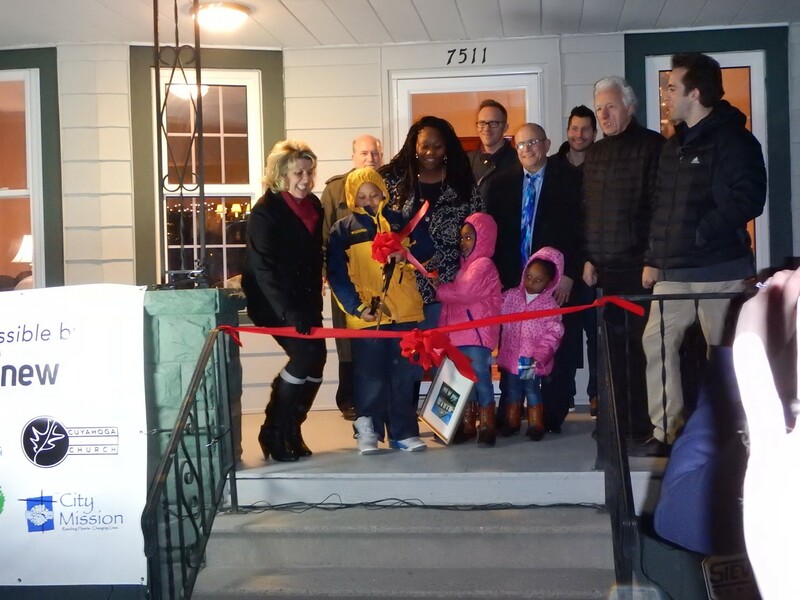 On a chilly December evening, friends, parishioners and staff of several partner organizations came together to welcome Ms. Tauri and her three children into their new home in Slavic Village. The home renovation was made possible through the partnership between the Cuyahoga Land Bank, The City Mission, Renew Communities, Hope Church and Cuyahoga Valley Church. 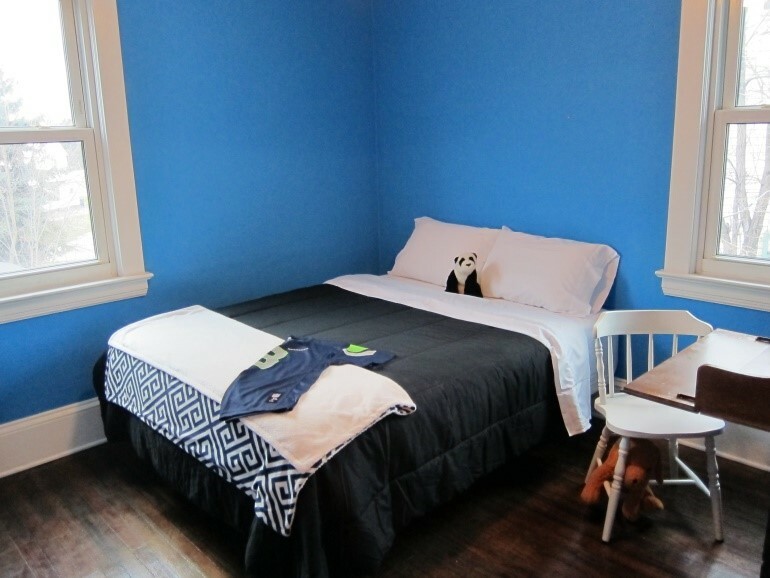 Most recently, Tauri and her family had been living at Laura’s Home, a Women’s Crisis Center run by the City Mission. They came to the City Mission when Tauri and her family became homeless. At Laura’s Home, Tauri found the opportunity to begin a new chapter in her life and for her family. Classes and counseling helped Tauri gain the skills and confidence needed to find a job at the local library. Tauri credits her faith in God for the positive change in her life. “If I do go into another depression, I don’t have to stay there,” says Tauri. “God will provide for us! I’m not in it by myself,” she stated.